Builders, We'll Help You Get the Job Done! 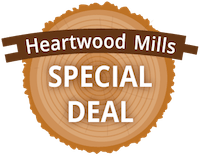 Whether it’s new construction or a remodel, interior or exterior, Heartwood Mills is your go-to source for quality milled wood products. Since 1947 we have supplied builders, home owners and distributors with beautiful, durable Northern White Cedar logs, White Pine, Southern Yellow Pine, Spruce, Fir, and Maple milled wood for their building projects. From traditional log cabins to contemporary home styles, our log siding, wood paneling, timber trusses, and other wood products will add beauty, warmth and a unique look for generations to come. Here at Heartwood Mills, wood runs in our blood. 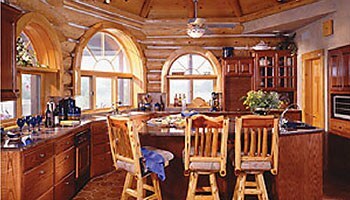 We have been making wood building products using locally sourced Michigan Cedar and Pine for 70 years. But we aren't just limited to the trees in our backyard, we can source any specialty lumber you need from trusted partners across the U.S. who are ready and willing to assist. From doors to flooring, log siding to paneling, Heartwood Mills is your best source for wood building products. 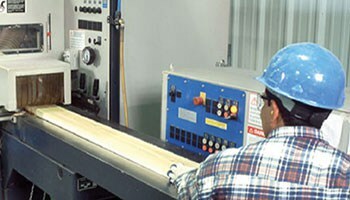 Wood siding has been a staple of the Heartwood Mills business for since day one. 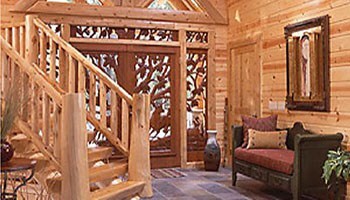 We specialize in Norther White Cedar siding and paneling. We take Cedar seriously. If you are interested in log siding or paneling, please contact us and we will have one of our specialists walk you through every step of the process. Are you a builder looking for log siding, doors, flooring or trusses? Ask our wholesale team about special pricing for general contractors and builders. 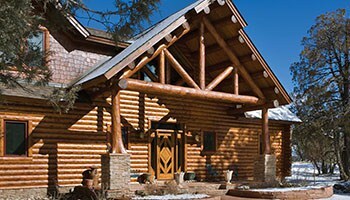 Exterior and interior milled Cedar, Pine, Spruce, and more!